If I love a combination of things, it's a reality show on Bravo about single folks in Texas. I love the South and pretty people looking for love, so obviously I watched Most Eligible Dallas. The entire cast was GORGEOUS (take my word for it if you didn't watch), but one fiesty little blonde lady became one of my favorites! Meet Neill Skylar. This sweet lady took time out of her busy day to talk to me for Favorites with My Favorites! (She seriously is too sweet for words!) The format of this particular Favorites will be a little different, as it was a phone conversation rather than a question list! She had a hard time narrowing down her favorite place to visit, so she went with her top three! The Greek Theatre in LA (where she has seen both Stevie Wonder and Stevie Nicks), Colorado (a place she says is "between Heaven and earth"), and under the water (she loved the Little Mermaid and scuba diving in Mexico). Neill likes the color red, good sushi, and Tex-Mex. She enjoys musical theater, and says there is no place she would rather be than on stage. Neill uses a Jergens product that gives a good tan in three days - she tries to protect her skin, so Natural Glow Express is a natural choice! She likes Marc Jacobs and Kate Spade, but she prefers to shop at vintage stores because she likes finding original pieces. Her all time favorite movie is True Romance by Quentin Tarantino. Check out Neill on Twitter here! All of that to say, I definitely want to be her BFF! What a sweet lady! Love her. 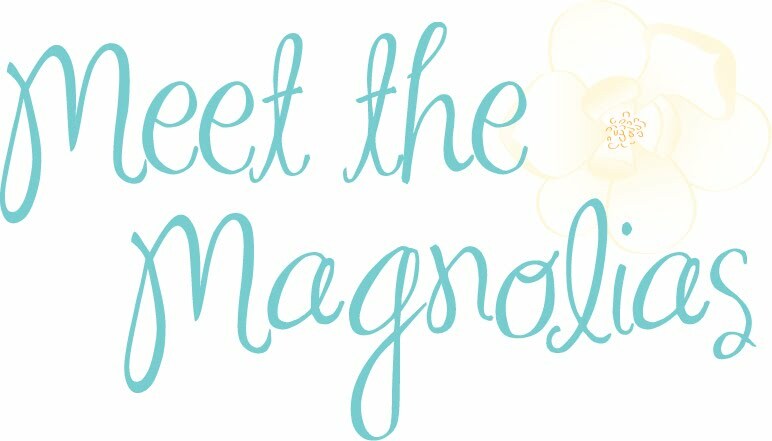 Be sure to keep up with Meet the Magnolias so I can let you know Neill's next plans!